Occasionally, phrases just leap out of songs, resonate with my heart, and find a permanent place in my consciousness. One that has been rattling around in my brain for a few years now is the line, “I’m way too old to hate you,” from Brandi Carlile’s tune, “My Song,” which appeared on her 2007 album, The Story. As I have commented on this blog before, I have a great affinity for Carlile’s music. Her lyrics are honest and poetically powerful, and she delivers them with amazing energy and palpable emotion. She doesn’t shy away from lyrically expressing feelings of failure, regret, and loneliness. Shouldn’t there be an age cap or some sort of statute of limitations on hatred? Shouldn’t our journey of spiritual growth, maturity, and conformity to the image of Christ eventually lead us to a threshold where we are required to leave our excess emotional baggage behind? I can think of few things sadder than someone approaching death, yet still harboring bitterness and animosity in their hearts over some incident that took place years or decades earlier. It is so emotionally and spiritually self-destructive to live under the tyranny of a painful event from the past. In shutting the gates of compassion and mercy toward others and refusing to release them from their offenses, we may fool ourselves into thinking that we are holding them as emotional hostages, when in reality it is ourselves who have been consigned to captivity. Very often, the other person has moved on, having found forgiveness and redemption from an infinitely higher Source. They live in grace and freedom, blissfully unaware of our self-imposed confinement in the mire of our own misery. How old do I have to be before I can learn to let things go? I think 51 is old enough! While the following passages may be somewhat familiar, perhaps fresh phrasing from The Living Bible will provide some additional insight. “If you are angry, don’t sin by nursing your grudge. Don’t let the sun go down with you still angry— get over it quickly; for when you are angry, you give a mighty foothold to the devil,” (Ephesians 4:26-27). “Stop being mean, bad-tempered, and angry. Quarreling, harsh words, and dislike of others should have no place in your lives,” (Ephesians 4:31). “So get rid of your feelings of hatred. Don’t just pretend to be good! Be done with dishonesty and jealousy and talking about others behind their backs,” (I Peter 2:1). “Try to stay out of all quarrels, and seek to live a clean and holy life, for one who is not holy will not see the Lord. Look after each other so that not one of you will fail to find God’s best blessings. Watch out that no bitterness takes root among you, for as it springs up it causes deep trouble, hurting many in their spiritual lives,” (Hebrews 12:14-15). Whatever the offense, let it go. Whatever the disappointment, the pain, or the sense of betrayal, release it. And pray that others will be just as gracious and merciful to you. Amen. Just beautiful, a great thought to start the day. Much peace to you and your family. Thanks so much, Terri! And to you and your family, as well! Thanks for reading! Wonderful post, Tim, as always! Thanks so much, Bobby! Hoping to see all of you on the 23rd! Tim, what a great way to express something we each have to make decisions about every single day. 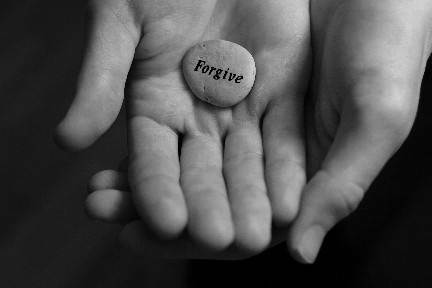 Do or I hold a grudge, or do I forgive and let it go? The Holy Spirit is where our power comes from that enables us to be able to let it go. I agree…any age, not just 51, is old enough! Thank you, Tim for this excellent post. Thanks very much for your comment. Indeed! It takes strength beyond ourselves to imitate the Spirit of Christ in praying for those who have wronged us and simply entrusting ourselves to the One who judges righteously. I have never understood hatred. I believe I can truthfully say that I don’t remember ever hating someone. Of course there were people I didn’t like very much, but never enough to classify it as hate. I have known people who hated others and the ones doing the hating seemed eaten up inside. I don’t even like to be angry. I have to admit that I do hate a few things though…not people but things such as lying, drunkenness, etc. As always your posts are not only enjoyable but inspiring as well. Thank you for taking the time to write and share. Always great and encouraging to hear from you, Drue! May we all develop your aversion to anger!!! God bless!